Anna Hazare scored a victory of sorts against corruption recently; people have been calling his methods Gandhian — probably because he used Gandhi’s favourite instrument, a fast unto death. Many important events were triggered by this trick, including the linguistic reorganization of the states in the 1950s. Of all the hypocritical actions that Gandhi indulged in publicly, fasting to death is most definitely the most remarkable. … Hazare’s fasting to death and the public support that he has enlisted shows how immature India is as a nation. The point of a hunger strike, I think, is to raise an extreme and very visible protest. Such a protest could be violent and uncultured (witness the damage to public property and rioting done in Hyderabad by supporters of a separate Telengana state), or take a more serene form, like a hunger strike. By supporting the hunger strike, even to extent of joining in, I believe the nation has shown great maturity. We didn’t go about smashing public property — but we made sure the government sat up and took notice. The effectiveness of Hazare’s action (and Mahatma Gandhi’s innovation) is twofold. First, that it effectively focuses a widespread public sentiment into a single spearhead that can be used to goad the government, much as a magnifying glass can focus the sun’s rays and ignite things. And second, handled properly, it is a spearhead without undesirable side-effects like riots and destruction of public property. Of course, as many other bloggers pointed out (and I’m not including all links here) the agitation as well as the bill are only minor battles in the war against corruption. We’re all corrupt, a sea of corruption, and these are just a few drops of purity. Corruption will start to die when, for example, we not only refuse to pay bribes, but refuse to evade paying income tax as well. (Something I believe 99% of even the most self-righteous 1% of the population do.) That’s an important but completely different issue. A while ago, I wondered whether New Delhi really needed to spend $3 billion to build a new terminal. I was in New Delhi a few days ago, so got a chance to see first hand what all the fuss was about. The good: The new terminal is large, shiny and new. It features a lot of fairly attractive decor. Most international airlines have been relocated into the new terminal, as well as several domestic ones, such as Air India and Jet. This is great because in the past it was always a pain to switch between the international and domestic terminals, especially if you were encumbered with a lot of luggage. There’s a food court just outside the check-in area that stays open 24 hours. It’s clean. It’s got a lot of shops. The bad: The first bad thing that struck me is the carpet (ha! but yes, that’s what struck me first). I don’t think it’s generally a good idea to carpet an entire airport, because it will lead to high maintenance costs. They also chose a chaotic orange, red and brown print that I think is atrociously ugly. More importantly, I got the impression that they built way too big and didn’t know what to do with all the space. In departure areas, you walk long distances through corridors and walkways that house absolutely nothing. You’re not walking past departure gates or anything, just featureless spread out corridors that are so long they needed to add a lot of expensive moving walkways. Possibly they might add gates to those corridors at some point, but that would involve ugly construction that everyone would have to walk through. All in all, I have the feeling that the terminal is fairly nice, but it’s too large and it’s going to cost us a lot to maintain it. I don’t have any idea how much it costs to build airports, but $3 billion seems a high for a single terminal, even a big one with a lot of ugly carpet. 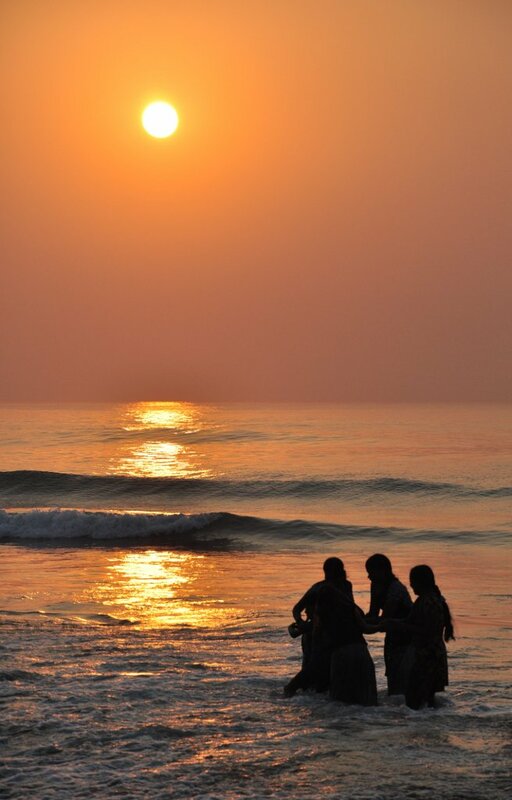 A group of girls bathing at dawn in the Bay of Bengal off Vizag after a night of fasting for Maha Sivaratri. There’s quite a large turnout, with thousands of people (families, groups of youngsters, and the elderly) enjoying a dawn dip, some spirituality, and a bit of fun. Dawn, March 03, 2011, Vizag. I saw two blog articles today with ideas that surprised me. Even as Indian observers debate the question of why and how Egyptian revolution cannot be replicated in India, the unique characteristics of Egyptian revolution will be of interest to the readers here. Of course we Indians are interested in what happens in Egypt, some in a general world-news way, some more intellectually. But these two people (i.e. Vishal Dadlani and V. Venkatesan) are talking about the feasibility of replicating Egypt’s revolution in India. How did that idea even enter the mindspace of the Indian public? Presumably because India has a lot of problems. A revolution might be an improvement in a country (like Egypt) that has been dictator-controlled for 30 years. But in a naturally feudal country with an active democracy (like India) that is seeing steady improvements, a revolution is like a roll of a pair of dice — with things getting better if both dice show 6. Most likely an Indian revolution will lead to a messy neo-feudal society with various warring factions tearing the country apart. Are these commentators insane? They have a personal desire for a little excitement, and their way of getting their fix is to encourage revolutions in democracies. The position of the Prime Minister of India is practically a sinecure nowadays. The PM doesn’t make any decisions, formulate policy, know what his own cabinet is up to, or do anything worthwhile at all. Instead, like the President, the PM’s job nowadays is to sign paperwork and meet and greet various foreign dignitaries. All the real decisions are made by Sonia Gandhi, of course. I forgot to mention one thing the PM does have to do. Whenever the opposition brings up an instance of corruption or ineptitude on the part of the government, Dr. Singh makes a public comment. He says, “The opposition is playing politics with this issue.” Corruption at the Commonwealth Games? That’s just the Opposition Playing Politics (OPP). The 3G spectrum scam? OPP again. Black money stashed in Switzerland? OPP. That’s his explanation for everything. Now where’s Manmohan with his comments about political mileage? This makes for very interesting reading: http://www.hindustantimes.com/Angry-Congressman-sings-Telangana-tune/Article1-657742.aspx. There’s nothing interesting about the politician in question or the backtracking he’s doing; what’s interesting is just how scared this 82-year old veteran is. Scared of repercussions after he criticized Sonia, he said he’d touch Sonia’s feet if she agreed to splitting Telengana. The abjectness of his situation, and the culture within the Congress, come through pretty clearly. Numerous Congress leaders, including his own son, jumped to denounce his statements. So the Congress is getting some heat for minority-inflaming politics immediately after 26/11, based on cables leaked by WikiLeaks (everything seems to be about wikileaks nowadays). The Congress is in the crosshairs. They’ve tried the deniability route, questioning two things: first, whether there really was such a wikileaks cable, and second, whether the ambassador truly said what’s in the leaked cable. The first one is very easy to answer: yes, it did. And it said a lot more than what the press has the courage to report. If you’re interested, just search for “wikileaks” on google. Then go to 2010/12/10 under “Browse Latest Releases” and click on Reference ID 08NEWDELHI3228. The second issue, whether the cable is genuine, is of course much harder to ascertain. But its contents are completely consistent with Congress strategy in the last decade or so. I’m quite undecided on whether wikileaks is good or not. I don’t think disclosing all information just because it’s there to be disclosed is good. On the other hand, we occasionally get a neutral, unsanitized (because it’s not expected to be public) opinion on our country’s politics. It’s been like a layer cake the last few months. We’ve had one scandal after another and it shows no signs of slowing down. You’ve probably read about most of the scandals, but the icing on the cake (at least until another scandal breaks, at which point it will become just another layer) may have escaped your notice. That’s because this latest scandal involves the media themselves, and they’re doing everything they can to cover it up. Barkha Dutt, Vir Shanghvi, Rajdeep Sardesai and a bunch of other media bigwigs were found to be doing some power-broking between the Congress and its vassal parties. The story was leaked by outlook magazine here. I don’t know why anyone should be surprised. It’s like being surprised that a baboo in an official position in government is taking bribes. Everybody does it, and everybody knowns that everybody does it, even if no evidence has actually emerged. I’d guess there are two paths you take to get exclusive interviews with prominent people. The first path is to dedicate your life to quality journalism until your reputation is so well-established that people want to talk to you. I think Dan Rather fell into this category — his demise came about because he hadn’t checked the quality of his sources. His integrity was never in doubt. But this path takes a long time. The second path is where you do people favours in return for interviews and inside scoops. I’m sure the majority of Indian journos don’t do this, but I’m equally sure a lot of them do. So when this big expose on Barkha and co. came around, I was surprised — not that they were doing it, but that something like this saw the light of day. Much of the mainstream media has been captured by a small clique of columnists, editors and TV anchors, an incestuous little coterie with shows on each others’ channels and interviews in each others’ newspapers. The responses Barkha and her higher-ups have provided are pretty standard: they liberally tossed in phrases like “smear campaign”, “misrepresentation” and “caricature” into boilerplate denials. I’ve long been incensed at the way in which Congressmen in general, and Sonia and Rahul Gandhi in particular, have attempted to wipe out the memory of P. V. Narasimha Rao and his tremendous achievements. I don’t find it surprising that they have done so; to acknowledge Rao would be to admit that almost all the positive developments the Congress can lay claim to in the last 20 years were initiated by an Outsider. It’s possible Rahul and Sonia now believe their own hype — that they are no longer capable of understanding that non-Dynasty members may have made major contributions. I have mixed feelings towards Manmohan Singh on this topic. On the one hand, I feel angry at his silence. But mostly, I just feel bad for him. He seems to have sold his soul to Sonia and Rahul in exchange for his gaddi. But I don’t believe Manmohan lusts after power — I think he just wants to be rescued from the utter obscurity that awaits a leader with no political network of his own. Perhaps he’s not strong enough to embrace that obscurity. Perhaps he feels that, puppet though he may be, he can do more good than his putative replacement. It doesn’t matter. What feelings bubble up behind that weak smile, I wonder, when he hears Sonia and Rahul giving Rajiv credit for everything that his original mentor did? Has age and time numbed his conscience? Our leaders … do resemble Stalin … in their vanity and insecurity. They cannot purge or kill former colleagues, but they can at least disparage their contributions, while magnifying their own. In the 125 years of its existence, the party has produced a series of impressive and important leaders. … will its historians and propagandists recall the great women leaders of the past, such as Sarojini Naidu, Kamaladevi Chattopadhyay, and Sucheta Kripalani? … Will … such charismatic and greatly influential individuals as J.B. Kripalani, C. Rajagopalachari, Jayaprakash Narayan and Rammanohar Lohia be mentioned at all …? Will … its most outstanding president, K. Kamaraj, and its brilliant prime minister who died early, Lal Bahadur Shastri? Let’s keep dreaming. Ram Guha addresses this topic from time to time, see also for example here. 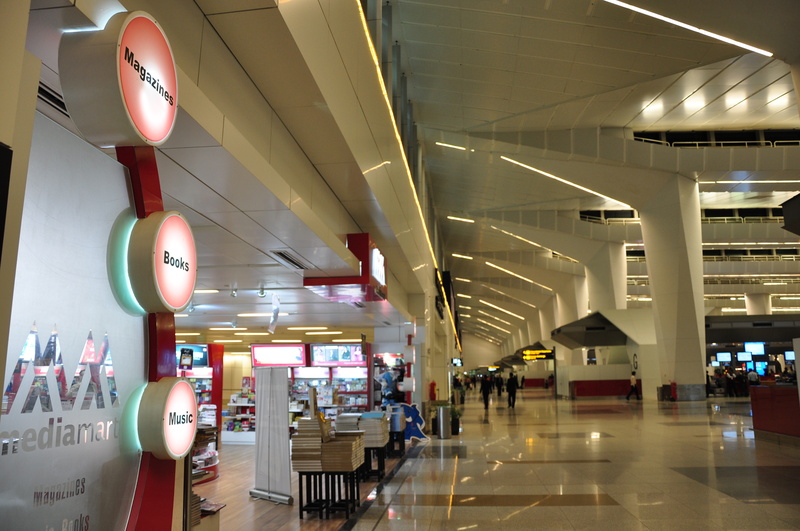 Remember the US$ 3 billion that India spent on building a single “swanky” terminal at the IGI airport? Considering what’s going with the Commonwealth Games, I wouldn’t be surprised if the true cost was much higher. China, on the other hand, is planning to spend US$ 2 billion developing rail infrastructure in Tibet, a relatively remote region. I wonder which will be a better investment. Hot potato political topics in India are extremely hard to understand. There just doesn’t seem to be a culture of balanced or careful presentation in the Indian press. Seemingly impartial reports in top newspapers only tell half the story, and non-opinion articles have unseemly opinionation mixed in. Certain sections of the press and society seem incapable of any contribution but hammering away at popularizing their favourite viewpoint. But one of the hottest potatoes, the Aryan Invasion Theory and debates related to it, is especially hard to understand. This is because academics throughout India and the West seem to have clear political agendas when writing about this topic. Indology, as the study of Indian religion, language and culture was known in the 18th century, started with the “discovery” of Indian culture by Europe. Initially, there was a great deal of excitement and positive press. By the mid 19th century, in tandem with the development of race theories, the denigration of Indian culture was institutionalized especially in Britain but more generally throughout Europe. This was, of course, an economic and political necessity: India was, to a great extent, the source of Western prosperity; and it had to be retained convincingly. Almost all Indologic academic endeavour in the late 19th century throughout Europe had as its eventual goal the denigration of India. There were some dissenting voices, including a few from India, but these were generally scoffed at and not taken seriously. The theories of Aryan invasion and migration were originally created in that atmosphere, and the field of Indology developed into the corresponding field today. The tools that are used today include two old ones: archaeology and linguistics, dating back to the original Indologists, and one new tool: genetics. Those who are opposed to the idea that Aryans (or the original creators of the Vedic religion) invaded India usually claim that the Vedic culture originated in India. A basic assumption of many of this group is that the entirety or majority of the body of academic work based on linguistics is not trustworthy, because it is based on the politically and racially tainted work of 19th century European scholars, and because 20th century and current work is essentially a continuation of that work. Many of these academics claim that genetic tools show a lack of evidence for an “Aryan invasion”. The pro-AIT Indologists generally believe that the other group have failed to answer certain archaeological and linguistic puzzles that surfaced during the 18th and 19th centuries. The anti-AIT group, they say, are not experts in archaeology or linguistics, which require careful and sustained study. They are merely dilettantes, and are thus unqualified and unable to comment on the more detailed issues. They also claim that the counter-theories advanced lack appropriate levels of academic rigour, and the anti-AIT group also tends to advance some its ideas through the press or the web as opposed to academic journals, leading to an erosion of their credibility within academic circles. And without satisfactory answers to the conundrums in the archaeological or linguistic record, one can’t simply rely on the genetic evidence to arrive at conclusions. I’ve been reading a bunch of random online pages on this debate, and it appears that both sides have much going for their arguments. It’s pretty clear that both are very wedded to their viewpoints. The academically-heavy pro-AIT groups seems to lose its neutrality when it comes to this topic. On the other side, with the anti-AIT lobby, you have to cull out large numbers of laymen who believe their opinion has the same levels of validity as that of the academics. (This may actually be true, but if so we need an academic process to ascertain it.) Both groups acknowledge that there is some truth in the other group’s accusations, but nevertheless believe they know best. For the interested layman (like me), it’s hard to be sure that even one argument is valid on either side. For example, the neutrally-named Archaeology Online seems to be a vehicle for the anti-AIT lobby. This is not to say the arguments there are not valid, but there is a little bit of pro-AIT bashing on the website. It also appears that some papers that seem to support the AIT are not reported on that website. On the other hand, it is hard to believe the pro-AIT lobby is neutral. There seems to be some of the usual “greatness of the West” stance in their general attitude, and since they exert total control over the academic old boy networks, it is hard to see how an anti-AIT thinker could break into their domains. They also tend to issue blanket dismissals of the anti-AIT lobby from time to time. 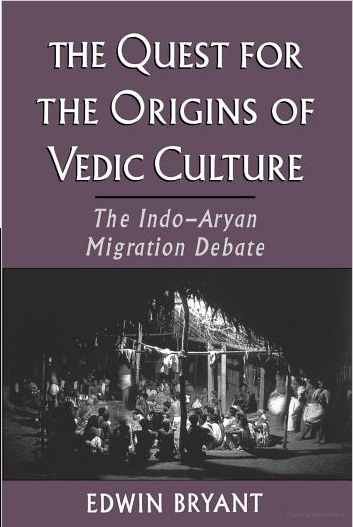 I’ve come across what I think is a rather balanced and important book on the archaeological and linguistic aspects of this topic: “The Quest for the Origins of Vedic Culture” by Edwin Bryant. Bryant’s thesis is that there should be a balance, and that viewpoints from both sides should be presented, as long as they meet some basic standards of academic discourse. I haven’t got too far into the book: about 60 of 300 pages. I think it’s a hugely important book because of its balance. The overall conclusion seems to be that, in truth, we don’t know whether there was an Aryan invasion, and barring some major new finds in primary evidence, we will never know. So, perhaps all of the theories propounded today express the fond wishes of the theorist rather than the truth. America’s Independence Day Gift to India! Just before India celebrated its 63rd Independence Day, America had a gift for India. The gift is summed up in various articles, for example here. America will hike visa fees for companies with a high proportion of Indian employees. Only companies with Indian employees, not any other country, so it’s a gift intended solely for India. Thanks, America! For some peculiar reason, Indian companies are displeased with this gift. Don’t we know we shouldn’t look at a gift horse in the mouth? We should be happy. President Obama explained that he welcomed the passage of the bill. In a separate statement, he praised India for being a beacon of hope to people all around the world! That should make us doubly happy, for everyone knows that what Indians crave the most is a little bit of praise. American Homeland Security Secretary Janet Napolitano expressed logical reasons why Indians should be pleased with the gift. Basically, America, being such a poor country, has no money to defend its Southern border from the nefarious expansionist designs of Mexicans. Hence America thought of forcing India, since it is so rich, to pay for protecting America. To compare the horrendous poverty of America with the fabulous riches of India, look at this graphic from Wikipedia. If you prefer visual media to get an idea of how much disposable income Indians have to spend on protecting American borders, watch Peepli Live, (which of course is a copy of at least 4 American films, all of which are perfectly original, and as the reviewer points out Peepli Live would only be enjoyed by unsophisticated Indian audiences). Some Indians were found asking, foolishly, what the protection of America’s Southern border has to do with India, and why Indians should be paying to protect Americans from Mexicans. But they are simply discontents and should be happy they have the opportunity to serve America’s interests! It is a peculiar feature of Indian democracy that the people expect the government to act, not like elected representatives, but like benevolent kings. If you look at what people seem to admire, it isn’t a propensity to stay within the limits set out by the constitution, self-limiting their own power. This has been a characteristic of many Indian politicians who believe in procedure and democracy (S. M. Krishna, Chandrababu Naidu, Atal Behari Vajpayee). But such politicians haven’t lasted. What the people seem to admire is the tendency to use an initial election to grab onto power and step outside the limits of the constitution (Laloo Prasad Yadav, Jyoti Basu, Indira Gandhi, Sonia Gandhi, Mayawati). Such politicians have lasted far longer than the “good” ones who self-limit power. There are many reasons for choosing a politician, some of which have more to do with immediate concerns than any grand theme. But if we grant that the pattern above is real, it’s interesting to speculate why. First, the voting masses actually admire this kind of power-grabbing. Those who eschew such power grabs are viewed as weak. That is understandable from a base point of view: why would someone not grab power if they could? Finer ideas like checks and balances and democratic propriety don’t make much sense in a dog-eat-dog world. From this point of view, a king should act like a king, not like a sarkari naukar. Second, the masses expect to be given benevolent handouts once the people they voted for establish themselves as all-powerful maharajas/maharanis. (Think Sonia Gandhi visiting Amethi, thronged by worshipful subjects, bestowing her munificence as fancy takes her.) This kind of “reward for our electoral loyalty” is an expectation across the masses. These rewards are usually (though not always) not in terms of generally applicable legislation. They are out-of-turn gifts bestowed in return for loyalty. Of course these are not the only reasons; the voter is very aware of other intermediate-term benefits: revenge against an inimical social class, free power/food/credit, reservations, material gain as in land reforms, etc. These are usually granted more gradually and less gratuitously often through legislation. I’m talking about the type of person the voter wants to vote for, modulo factors such as these. In other words, who would the voter prefer, assuming they promised the same legislation? The power-grabbing legislator is what I’ll call a dictator. S/he is a dictator because s/he doesn’t believe the laws really apply to her/him. If s/he is kind to the constituencies that gave her votes, then s/he is good from the voter’s point of view. So the Indian voter’s electoral aspirations can be summed up as the desire to elect a good dictator. In comparison, ISRO’s annual budget is $1 billion, and this is after ISRO has proven itself repeatedly over the last 20 years. According to Wikipedia the Delhi Metro, one of the most useful infrastructure undertakings ever, is supposed to have cost about $3 billion for Phase I and II, moves over 1 million commuters every day, and runs at a profit without any government funding. In contrast, the Delhi Airport moves about 23 million passengers a year, and the new terminal’s capacity is 34 million — about 10 to 15 times lower than the Delhi Metro. Still, it’s good to spend on infrastructure that needs upgrading, and in fact the swank factor might act as a bit of an advertisement of prowess (as it does in the case of some of China’s awe-inspiring but overly grand and unnecessarily expensive infrastructure). First impressions count and the first thing tourists see when they arrive in Delhi for the Commonwealth Games will be this terminal. But does this really serve that purpose, or was this a knee-jerk reaction to the upcoming games? The shining, excited faces of our politicians are all well and good, but will we get our money’s worth from this in the long run? Or will it be a massive investment that is equally expensive to maintain, turning shabby in a few years? Time will tell. I was shocked to read this in the Indian Express: Hurt yourself to prove case against wife, HC tells lawyer. Briefly, wife accuses husband of physical abuse, showing wounds. Husband claims wife self-inflicted the wounds. Judge tells husband to self-inflict similar wounds on himself in order to demonstrate it is possible, while police officers film it! Of course, it could be a case of the IE reporter incorrectly or incompletely explaining what actually happened. Or even modifying the incident to get a sensational story. With our media, you can’t be sure. But assuming the story is true, it is utterly incomprehensible. I don’t know whether forensic science can establish whether the wounds were self-inflicted or not. Even if forensic science can do it, I’m not sure those facilities exist in India. In either case, I am not sure what it would prove. Suppose the husband did successfully inflict wounds resembling the wife’s wounds on himself. Even so, the wife might be innocent — it wouldn’t prove anything. The other side of the coin: suppose the wife did inflict the wounds on herself. Why would a judiciary demand that an innocent party injure himself? Whether the wife did or did not inflict such wounds on herself, the husband inflicting wounds on himself seems to have no judicial value.